” The initial achievements in communities under alcohol restrictions have been undermined over time so that alcohol is likely to remain a lead contributor to the high rates of premature death and avoidable disease, crime, violence and injuries. JCU’s Professor Alan Clough led a team that interviewed more than 380 people living and working in remote Indigenous communities in Queensland where there was either a total or partial alcohol ban. Sly grog has serious consequences which are likely to become magnified in small remote communities. Our data indicates this is a long-standing issue that appears to be escalating. There is a strong imperative for individuals to sell illicit alcohol where there is high demand. Although the study’s very richness also limits generalisability of specific harms and impacts to other settings , the structure and logic of the model we have developed may be transferable to remote Indigenous communities across Australia where similar alcohol controls have been tried. The strategies described here may assist to inform better regional management of this significant issue. Illicit suppliers were motivated by a sustained demand for alcohol and consumers’ willingness to pay inflated prices. “Prices of ‘sly grog’ reported were, on average, from four to six times, and up to 11 times, its legal retail value. It’s bought in bulk from licensed premises located long distances from the communities and smuggled in by various methods,” said Professor Clough. Researchers, including team member Dr Michelle Fitts, were told that some illicit suppliers carefully watched busy local police officers, ready to alert others bringing alcohol into the area while also using decoy vehicles and false reports of suicides and accidents to divert police resources. Professor Clough said the initial achievements in communities under alcohol restrictions have been undermined over time so that alcohol is likely to remain a lead contributor to the high rates of premature death and avoidable disease, crime, violence and injuries. Professor Clough said more could be done to curb the illicit trade in communities where alcohol is restricted. Professor Clough and Dr Fitts agree there also needs to be a clearer legal distinction between ‘sly grog’ sellers and consumers, with organised smugglers often receiving punishments similar to those found in possession of prohibited types of alcohol for their own use. Professor Clough emphasised that the problem was not just one of law enforcement and ultimately needed a collaborative response involving other service agencies, including alcohol and drug treatment services. “To be effective, alcohol supply controls must also go hand-in-hand with initiatives that address the demand for alcohol and the broad social determinants underlying alcohol misuse,” he said. Professor Clough said as far as he was aware the study was the first time illicit alcohol had been charted in this degree of detail from legal purchase to illegal on-selling. 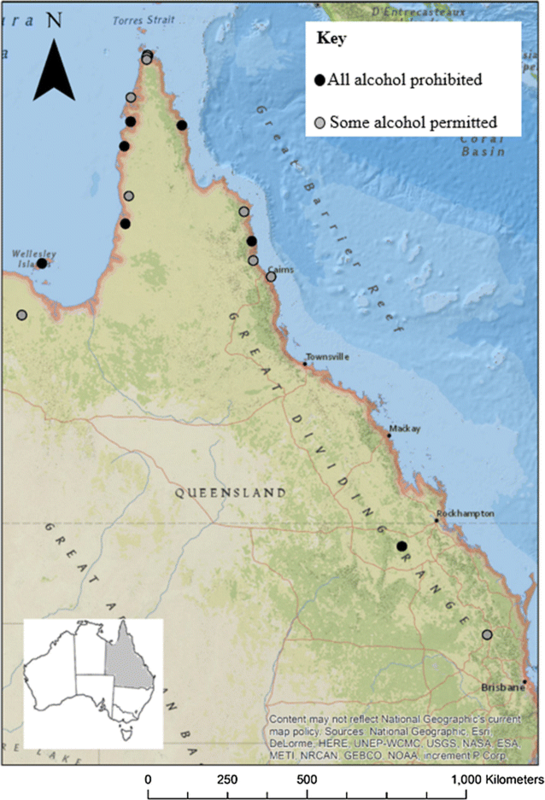 In communities affected by AMPs in Queensland (Australia), illicit alcohol supply and consumption is consistently reported as an issue of concern. These reports most often reference the more remote communities where total prohibition is in place. ‘Sly grog’ is the overwhelming and widespread concern while ‘homebrew’ is a persistent issue, particularly in one community and intermittently in a few others. 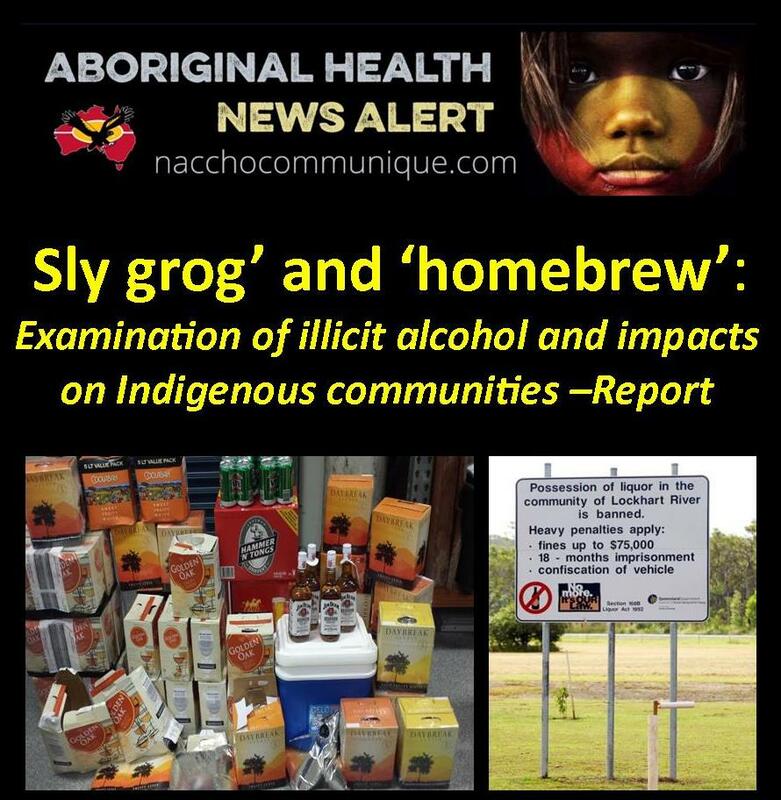 Consistent with the limited information we have about other ‘sly grog’ markets in Indigenous Australian communities , illicit suppliers were driven largely by a sustained and continued demand for alcohol in combination with consumers’ willingness to pay the inflated prices. At the high profit rates reported (up to 11 times normal retail value), the potential value of the trade in these communities, where income-earning opportunities are limited, would provide a very significant motivation for its continuance.